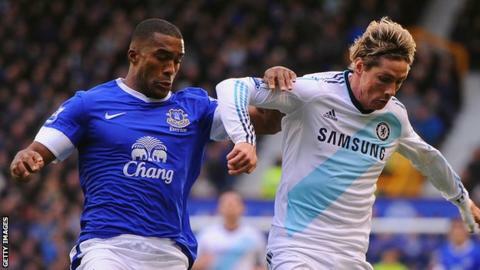 Sylvain Distin has signed a new one-year deal with Everton, keeping him at Goodison Park until the summer of 2014. The veteran centre-back has played 137 times for the Toffees since joining the club from Portsmouth in 2009. This term, the 35-year-old has featured on 22 occasions for Everton and helped them to fifth in the Premier League. Fellow defenders and have both agreed long-term contracts with the Merseyside club in the past month. Distin's was due to expire at the end of the season.